Nature’s very powerful antibiotic, anti-parasitic, anti-viral, anti-fungal and immune booster. 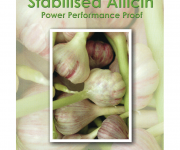 AlliTech is a patented product, Allisure®, containing 100% stabilised Allicin created from extracts of Allinase and Alliin in garlic. This has proved for over the last 15 years to be very successful in treating 90% of viruses, which are mainly caused by micro parasites. Antibiotics have little affect on viruses. 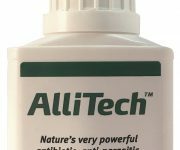 For open wounds, use AlliTech gel.